Feeling the Monday blues? So are we. So show us your blue (be it your shirt, dress, or even accessories) to enjoy a small-sized Ice Blended drink at $5! Available on Mondays at all stores except for the ones at Changi Airport, Sentosa, Singapore Expo, Marine Cove and Marina Bay Sands. 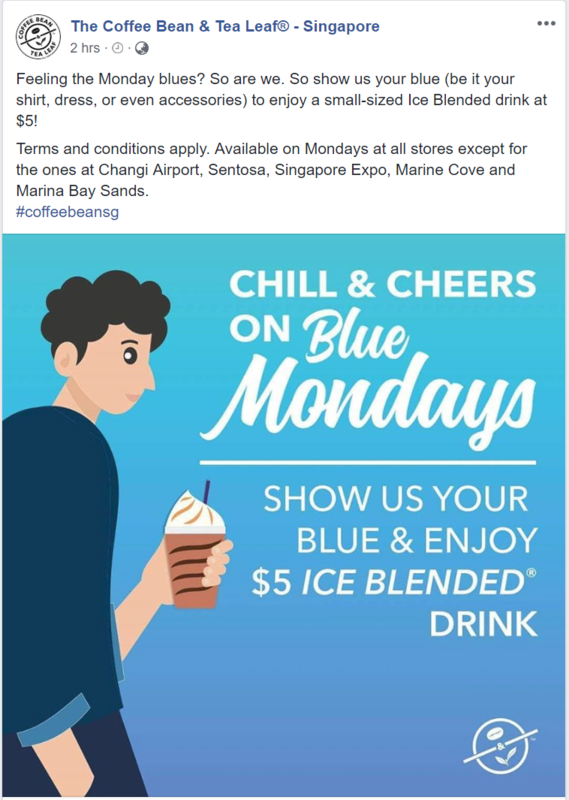 The post Get a Ice Blended drink at The Coffee Bean & Tea Leaf® for just $5 every Mondays starting from 15 Apr 2019 appeared first on MoneyDigest.sg.